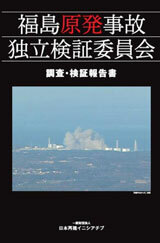 On March 11, 2011, an earthquake and tsunami crippled the Fukushima Daiichi Nuclear Power Station. The emerging crisis at the plant was complex, and, to make matters worse, it was exacerbated by communication gaps between the government and the nuclear industry. An independent investigation panel, established by the Rebuild Japan Initiative Foundation, reviewed how the government, the Tokyo Electric Power Company (Tepco), and other relevant actors responded. In this article, the panel’s program director writes about their findings and how these players were thoroughly unprepared on almost every level for the cascading nuclear disaster.This lack of preparation was caused, in part, by a public myth of “absolute safety” that nuclear power proponents had nurtured over decades and was aggravated by dysfunction within and between government agencies and Tepco, particularly in regard to political leadership and crisis management. 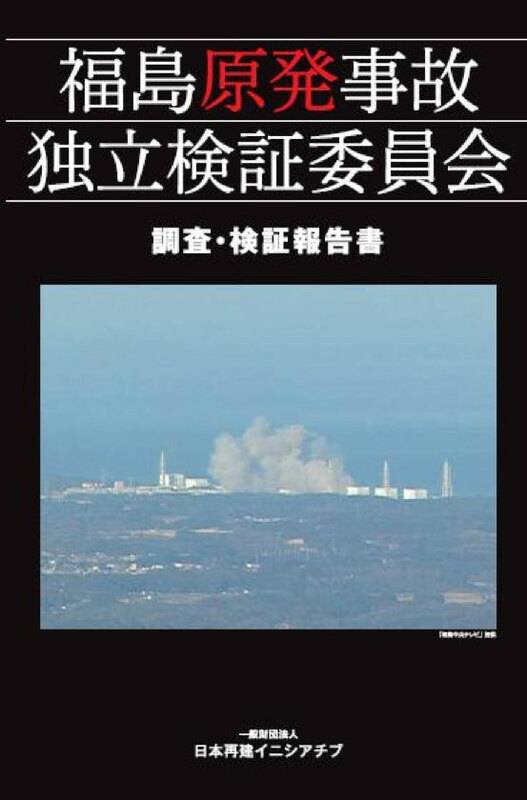 The investigation also found that the tsunami that began the nuclear disaster could and should have been anticipated and that ambiguity about the roles of public and private institutions in such a crisis was a factor in the poor response at Fukushima. The Independent Investigation Commission on the Fukushima Nuclear Accident, established in September 2011 by the Rebuild Japan Initiative Foundation, has since been delving into the causes of the nuclear accident at TEPCO’s Fukushima Daiichi Nuclear Power Station and the failure to contain its damage from an independent, private-sector perspective. The Commission announces its 420-page Report after six months of thoroughgoing research and analysis. Unlike the reports issued by the governmental and Diet panels, the Commission’s findings are truly independent, unfettered by concerns for existing organizations and frameworks. The Commission summarized its findings and recommendations in the Report with the hope that the lessons of Fukushima accident would be shared broadly throughout Japanese public, including those directly affected by the disaster, as well as people around the world. The English edition is scheduled to be published in summer 2012. The Commission consists of six highly knowledgeable Commissioners with technological, legal, and energy expertise as well as active concern about the accident (see list below). It is chaired by University of Tokyo Professor Emeritus Koichi Kitazawa, an eminent scientist who until September 2011 was president of the Japan Science and Technology Agency. The six Commissioners provided guidance and supervision to the Working Group comprising approximately 30 university and think-tank researchers, lawyers, and freelance journalists who carried out the necessary research and verification activities for the drafting of the Report. Areas of expertise of the Working Group members range broadly from nuclear engineering and political science to international relations and crisis management. Please refer to the last page of the Report for member profiles. Hearings were conducted of officials involved in the accident in an attempt to create an oral history. Their testimonies were analyzed through a framework of proximate, intermediary, and remote causes. Government leaders at the time of the accident were invited as guests to Working Group meetings for interviews lasting two to three hours. Roundtable interviews on specific topics were also held with government officials and experts. A short list of major interviewees (excluding those asking for anonymity) is as follows. In addition to those on the list, many others offered background explanations through unofficial hearings. In all, interviews were conducted with approximately 300 people. The Commission on multiple occasions contacted TEPCO seeking hearings from managers and disclosures of information, but the requests were turned down. For this reason, information about TEPCO is based on hearings conducted with retired TEPCO officials and through unofficial meetings. Parallel chain reactions: The placement of numerous reactor units and spent fuel pools in close proximity to one another heightened dangers. The worst case scenario was just narrowly averted. Our investigations led to the disclosure of the scenario’s existence by the government last December. (scenario’s full text in the Report). Crisis management in the inner circle of the Prime Minister’s Office: The decision-making structure in the face of an unprecedented compound disaster. Caught in one’s own trap of the “absolute safety myth” that weakened safety mechanisms. Information management: During a crisis, how much information should be publicly disclosed and what should be communicated to the public; the growing role of social media. SPEEDI: Reasons for the delay in publicizing SPEEDI data and its impact on evacuation decisions. Lapses in safety regulation governance: Problems in overlapping jurisdiction over nuclear power that came to light in the wake of the disaster. Fukushima Daiichi Director Masao Yoshida: Disruptions in command from the Prime Minister’s Office to TEPCO and Fukushima Daiichi; problems in violating instructions from the top. Leadership: Political versus bureaucratic leadership in times of crisis. Vulnerability to disasters: Evacuation centers, local governments, and medical facilities. Off-site centers: Why these crisis management facilities remained idle. Japan-US relations: Information gap and “whole of government” approach during the contingency. The Rebuild Japan Initiative Foundation (RJIF) was launched in September 2011 with funding from private-sector companies that endorsed our aim of establishing a politically neutral, not-for-profit public interest organization. RJIF’s mission is to conduct high-quality, independent research and to provide innovative and practical recommendations toward the reconstruction of the Japanese socio-economic system. In and beyond this, RJIF was conceived as a worldwide networking hub and incubator of ideas among opinion leaders, relevant organizations, and media outlets.